large varieties should ultimately be quiet 4 feet apart. 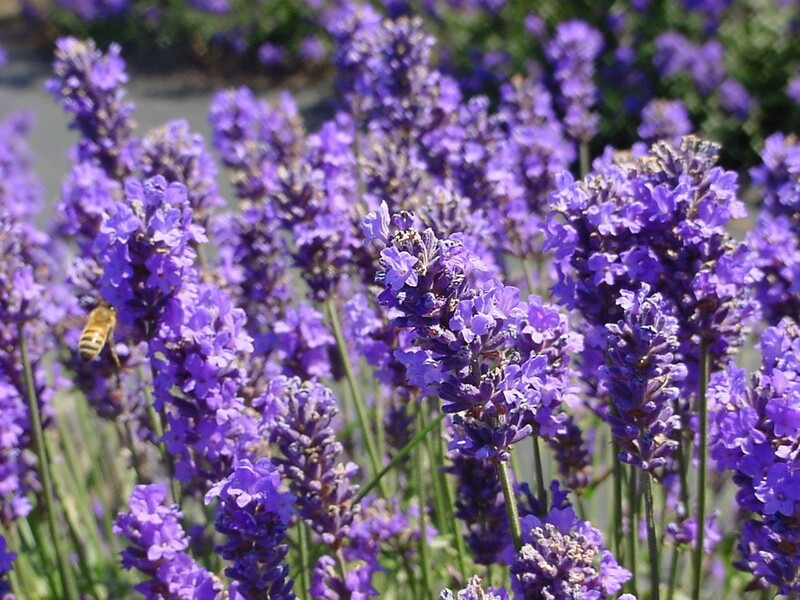 ​Lavender smells like it should taste wonderful, but the taste of most Lavenders is a little like turpentine. The flavor is not one that can be easily defined nor is it one most people like right away. It is like a fine wine with many subtleties. Both fresh and dried flowers and leaves are used in culinary preparations. Recipes using Lavender are generally on the sweet side but Lavender can be used to replace Rosemary and other strong tasting herbs. Or, it can be blended with other herbs, as in herbs de Provence. This mix, used in many savory dishes, often finds dried Lavender leaves and flowers mixed with other members of the mint family, like Rosemary, Sage, Oregano, Thyme and Mint.